Thank you to everyone who filled and donated pencil cases. We collected over 70 pencil cases in total. 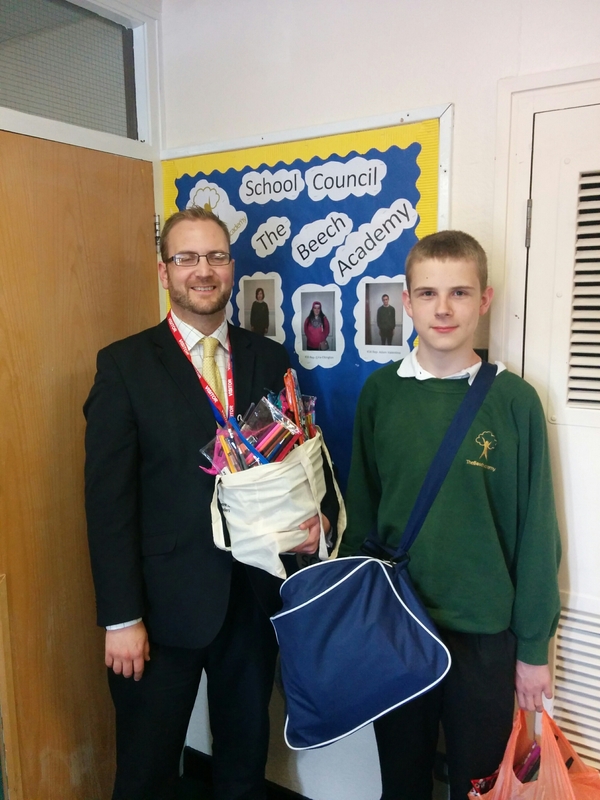 Pictured is school ambassador Lewis handing over some of the pencil cases to Edward Mawson from Teachers UK. Edward will soon be leaving for Kenya and taking your pencil cases with him. We wish Edward a safe journey and look forward to hearing about his adventures (and where the pencil cases ended up) when he returns.